It's been a little while since I last did a OOTD but I thought I'd get back into doing them by showing you a super cute jumper in two different outfits! I love seeing other Fashion Bloggers show you items in multiple outfits to show you how you could wear things so I thought I'd attempt the same thing. These really aren't the most flattering photos but at least you can see the outfit! 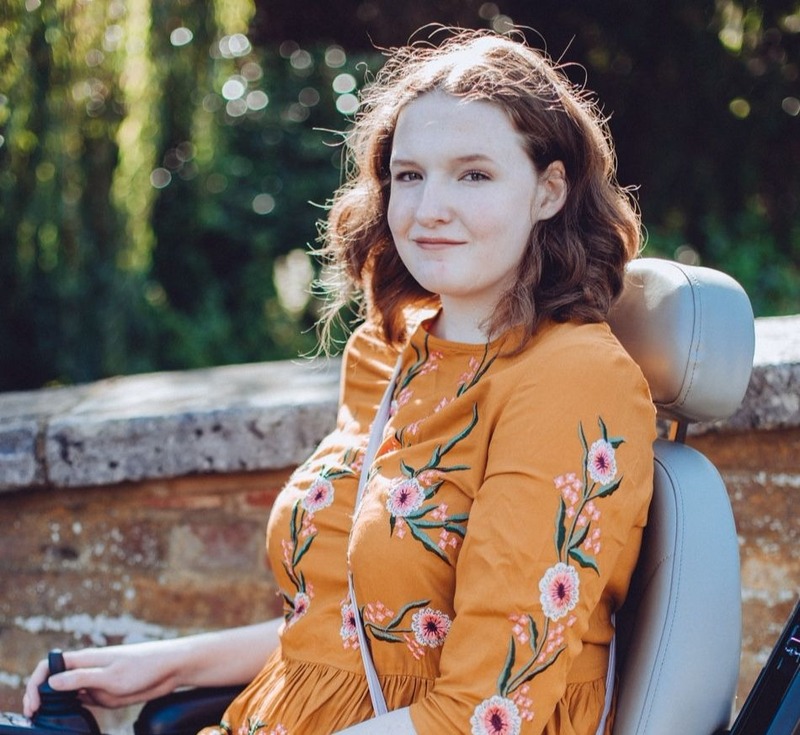 I'm always snuggling up in a comfy jumper paired with some skinny jeans but I little while ago it only just dawned upon me that jumpers could look just as nice with dresses! Wearing dresses in A/W might not be the warmest outfit option but with a knitted jumper thrown over the top you'll be fine! 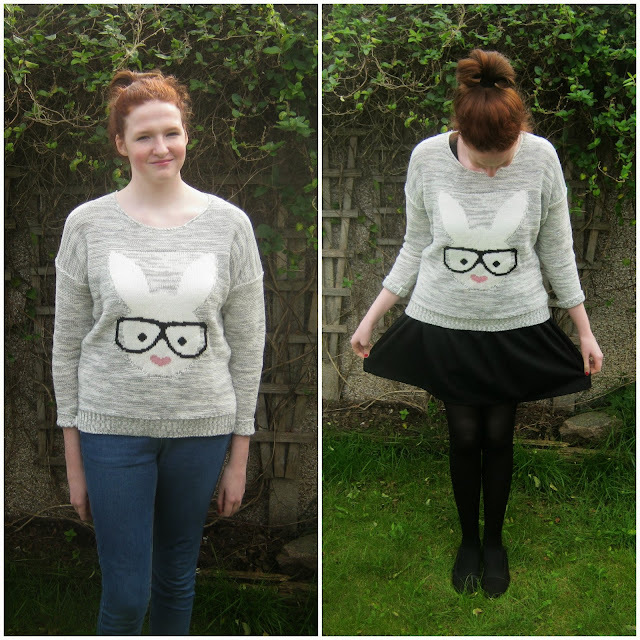 This adorable rabbit jumper is from OMGFashion and only costs £16, inexpensive next to the likes of Topshop, River Island etc. That doesn't mean the quality is poor though, it's made out of a really thick knitted material that keeps me warm and cosy! The only thing that I'm not massively impressed about is that there are only 2 sizes available S/M and M/L, sizes only go up to size 14! I got the bigger size so that it would be baggy but I'd still like it a little bigger. If you are a size 14 or smaller though this would be fab for you, just such a shame there aren't any bigger sizes! This has quickly become one of my favourite jumpers, I can't wait to pair it with winter boots and simple dresses! cute jumper! love your new blog design! gorgeous look! you're so pretty! This jumper is so cute! Love the second style - so cute! Your new blog design is gorgeous by the way! I absolutely love that jumper! So adorable! i like your hair color! it looks totally natural and the ginger really suits you! Great outfit Shona! You look cute with your rabbit jumper! It really looks comfy and warm!